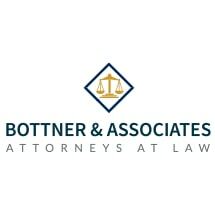 MoreLocated in Charles Town, West Virginia, the law firm of Bottner & Skillman represents clients across Jefferson and Berkeley Counties in all areas of criminal law. An arrest can place your livelihood, freedom and future, and the well-being of your family in jeopardy. Regardless of whether your charge is state or federal, misdemeanor or felony, serious or minor, our law firm is here to support you throughout the difficult times ahead.Leveraging our many years of experience in criminal law...Located in Charles Town, West Virginia, the law firm of Bottner & Skillman represents clients across Jefferson and Berkeley Counties in all areas of criminal law. An arrest can place your livelihood, freedom and future, and the well-being of your family in jeopardy. Regardless of whether your charge is state or federal, misdemeanor or felony, serious or minor, our law firm is here to support you throughout the difficult times ahead. Although we cannot guarantee with certainty the outcome of your case, we can work hard on your behalf to ensure that you obtain the best possible outcome, given the circumstances. Our attorneys pride themselves on offering compassionate service to our clients and our ability to respond to most inquiries with reliable and comprehensive information within 24 hours.